Over the past few years, there has been an increase in the number of online bookstores. So, if you are planning to start such a business, this article is for you. 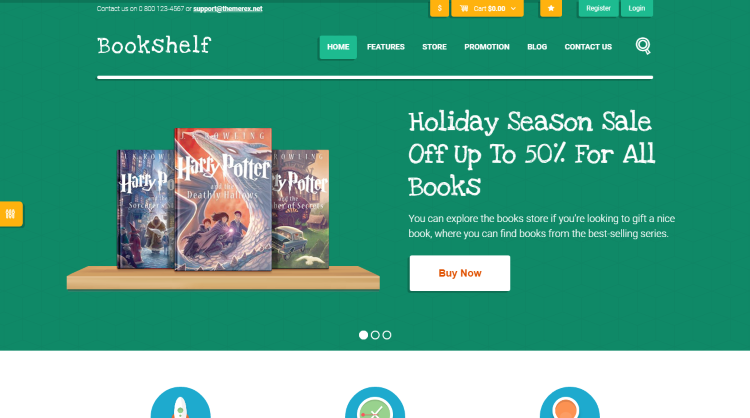 Here are some of the best bookstore WordPress themes from Themeforest which you can use for your online store. 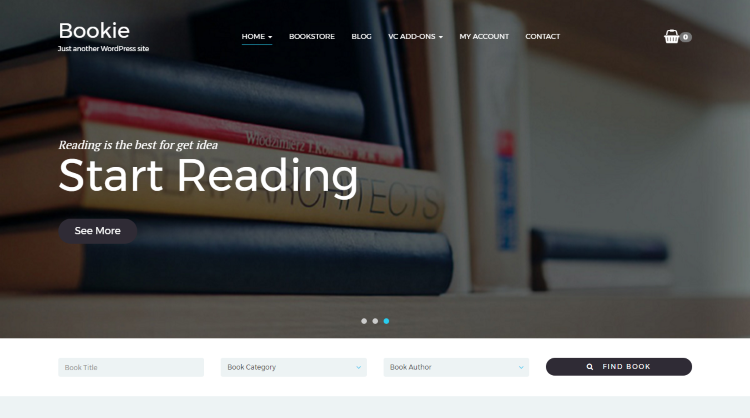 Book Store is a WordPress theme specifically designed for those who want to set up an online bookstore and sell ebooks as well as physical books. It comes with five unique homepage layouts. It also offers plugins such as Mega Menu, Visual Composer and Slider Revolution free of cost. Book Store theme is very easy to set up. It comes with pre-loaded templates and can be installed in just one click. This theme has been built on HTML5 & CSS3 and offers Google fonts support. 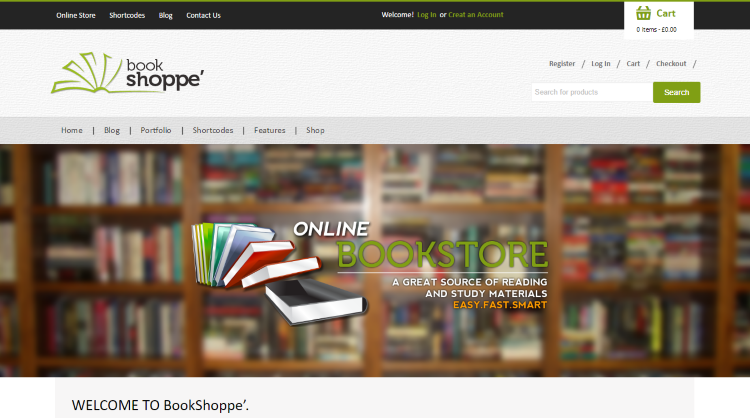 Indeed one of the best WordPress themes when it comes to bookstore category on Themeforest. The theme also offers great customer support. Pustaka is yet another WordPress theme for bookstores. It comes with a responsive layout and thus, works perfectly on desktops, tablets, and mobiles. The theme comes with seven homepage variants and three different landing pages. It supports a number of major plugins that ease e-commerce transactions. This theme offers previews of the books which is very essential. It also features a special author page and publisher page. Pustaka is an RTL supported theme and offers seven different footer variations. 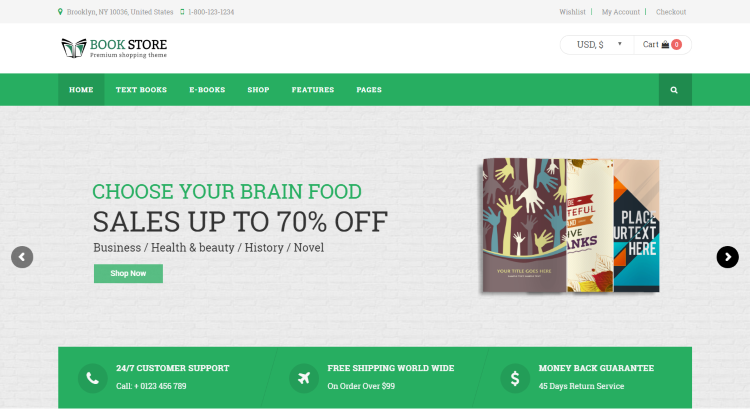 BookStore WP theme is an easy to set up theme and can be installed in just a few clicks. It comes with a number of predesigned layouts and allows you to customize each and everything as per your needs. It also offers 18 layered PSD files, 3 Color schemes, and 2 header styles. The theme supports a large number of Google Web Fonts. Book Store WordPress theme comes with a responsive design which gives it a standard look across devices of different sizes. The theme also comes with WooCommerce integration, thus allowing you to sell books from your website. Bookie is another WordPress theme which has been designed keeping in mind the needs of the bookstores. 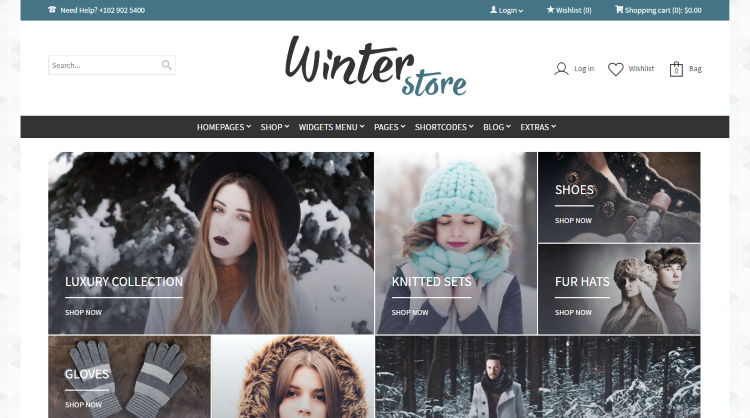 This bookstore theme offers support for a number of WooCommerce plugins – this is crucial for the online stores when it comes to making easy transactions over the internet. This theme allows the site to be translated into various languages. Thus you can expand your business in other languages as well. Bookie comes with child theme support and allows you to use custom backgrounds as well. This theme is compatible with the Visual Composer plugin. So, you can create powerful pages using this popular drag & drop builder. 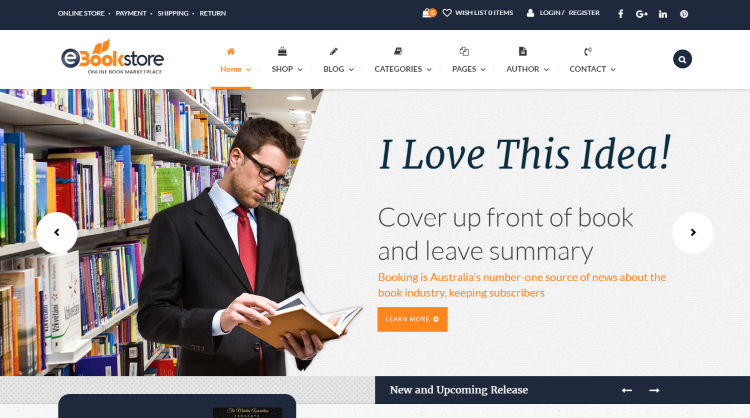 Booklovers is just the perfect WordPress bookstore theme for businesses aiming to set up a bookstore online. 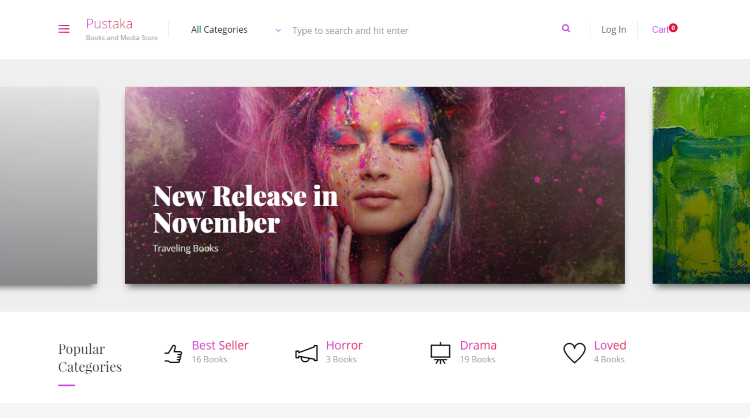 The theme comes with a complete support for the latest version of WooCommerce which allows the store owners to sell books, as well as other similar media products such as movies, audios, and video games. Booklovers is bundled with the plugins like Revolution Slider and Visual Composer. In addition to a large number of eCommerce features, the theme is also quite easy to set up and can be installed with ease. This theme comes with 4 homepage layouts, interactive AJAX search management, and a large number of Google web fonts. The theme also offers a large number of custom widgets such as Flickr, Instagram, Twitter, and more. 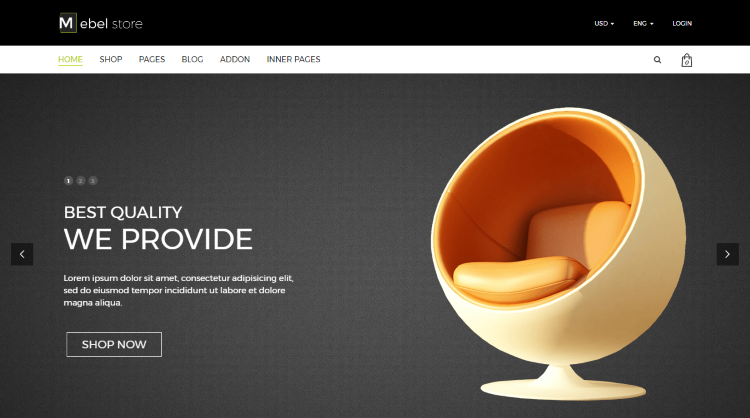 Mebel is a WordPress theme for furniture websites. However, it can be also used for Bookstore websites. The theme comes with a number of homepage layouts, blog layouts, and header & footer variations. This theme allows you to display most viewed products, best seller products, and discounted products. The theme includes features like Wishlist integration, 600 Google Fonts, translation ready, and comes with parallax background which provides the users with a smooth scrolling experience. The WooCommerce plugin that comes with the theme eases the e-commerce transactions. It also comes with the support for a blog. 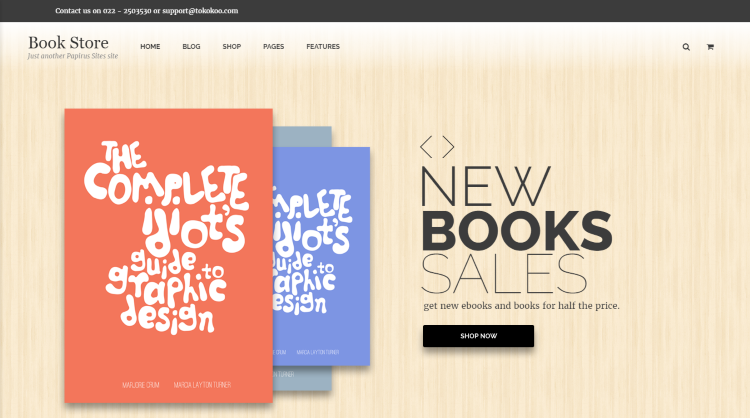 Papirus is a WordPress theme for bookstores and can be used for other online stores as well. The theme comes with a responsive design which allows it to give a uniform experience across devices of all sizes. Papirus offers interactive sliders and comes with the Visual Composer plugin which allows the site administrators to control the various design aspects of the theme with ease. It comes with a number of WooCommerce Plugins such as product carousel, multi-product support, widget cart shortcodes, and more. This support ensures that the users can easily make payments. Papirus theme is optimized for SEO and ensures better rankings in search engines. The theme is coded in valid HTML5 and CSS3. It is a WPML ready theme and features a large number of customization options. Another WordPress theme for bookstores, Bookshelf offers some of the best features that users and admins expect from a bookstore theme. Bookshelf comes with the support for not just physical books and e-books, but also various other forms of multimedia content such as movies, music, videos games, micro courses, and more. Another highlight of the bookshelf WordPress theme is the fact that it comes with a large number of customization options. The theme offers an infinite number of color settings and a large number of layout options. This theme comes with Visual Composer, WooCommerce, PO Composer, Tribe Events Calendar and Revolution Slider plugins pre-installed. Book Store WordPress theme comes with a number of features which are essential for setting up an online bookstore. This theme features a large number of customization options, and it comes with unlimited colors and multiple layouts. It is a fully responsive theme which ensures that the website provides a uniform experience across various devices. 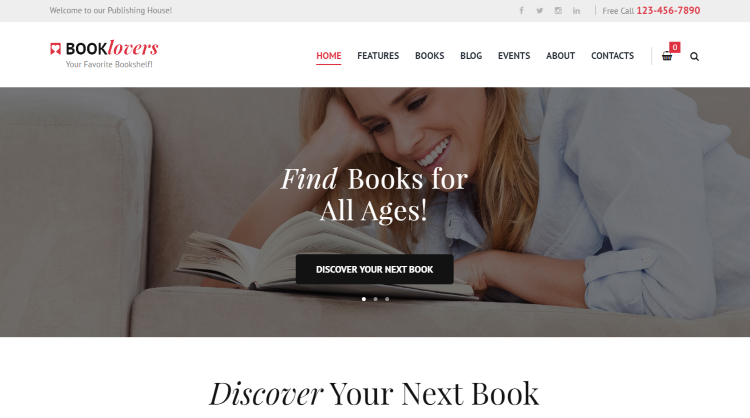 The theme comes with some important components of an online bookstore-themed website such as Featured Books, Featured Authors and Best Sellers. It comes pre-loaded with all the necessary WooCommerce plugins which ensure that the users get a seamless shopping experience on the website. It is built on a valid HTML5 and CSS3 and offers support for a large number of Google Web Fonts. Goodstore is one of the best multipurpose themes for any business looking forward to setting up an eCommerce store. This theme is perfect for any kind of store, hence bookstores work well with this theme as well. It comes with a powerful theme options panel which helps you to manage the theme with ease. The theme comes with 22 preset layouts with demo content included in them, which makes it easier for the users to set up their website in just a couple of clicks. It allows a flexible layout and is an SEO optimized theme. GoodStore is a retina-ready and responsive theme which offers a choice between boxed and wide layouts. The GoodStore theme also comes with a number of useful WooCommerce plugins. To conclude, some of the features that need to be looked at, while choosing a good WordPress theme for bookstores, are WooCommerce support and the degree of customization that they offer. The above are some of the best examples of such themes and can be used to start an online store for books.